I did not catch the movie, "Percy Jackson: Sea of Monsters" on its opening day but still I managed to watch the movie the other day with friends. I was determined to watch this movie because the week before that, I watched the first movie at home (yeah, I am so bum at home...). Anyway, good thing I watched the second installment to this "Percy Jackson and the Olympians" franchise series and it did not really disappoint me. I guess the recent box-office tally agrees with me. Here's the news that I got from 20th Century Fox Philippines. 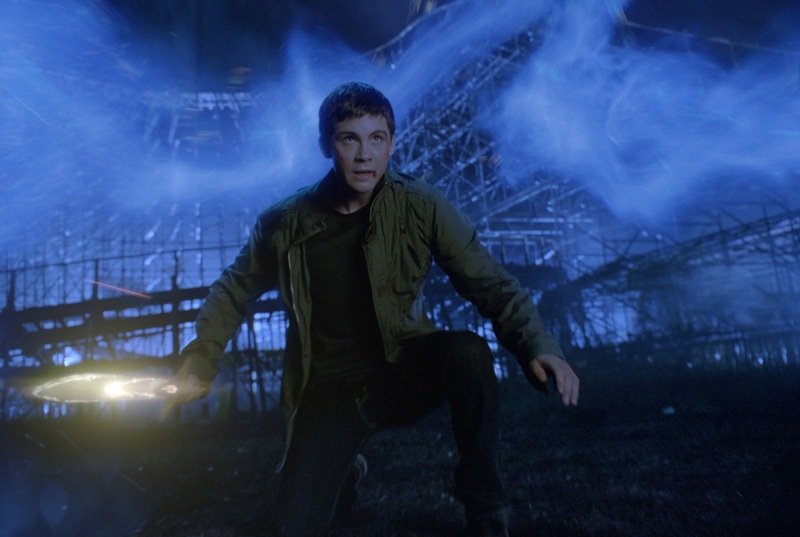 “Percy Jackson: Sea of Monsters” emerged on high seas when it docked at no. 1 in the Philippines’ box-office arena on its opening weekend (August 7-11) with a total of P 78.2 million nationwide in almost 200 screens (in 2D and 3D) across the country. Based on the book by Rick Riordan, the film casts Logan Lerman as a high school teen who discovers that his father is Greek God of the Sea, Poseidon. Indoctrinated into a world of gods, demi-gods, and lords of the underworld, Percy’s quest turned Lerman into a star. Produced by Chris Columbus and directed by Thor Freudenthal, Logan Lerman returns in “Percy Jackson: Sea of Monsters” with returning cast members Alexandra Daddario and Brandon T. Jackson, as well as new faces Leven Rambin and Douglas Smith, Lerman’s Percy must set out on a quest to retrieve the Golden Fleece of legend, so as to restore safety to his home and school, Camp Half Blood.